I like that stroller it is really light weight and compact. My doter like seat, sleep there and it is looks like she feel comfortable there. I can store it in by apartment. lightweight and moves easily. we are currently using it inside the house for our 8 week old to nap in- works like a dream! it Is worth every penny, this is my 3rd stroller. 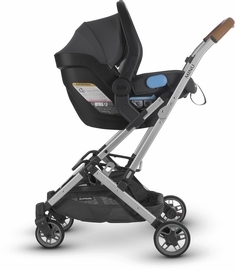 I have a Peg Perego and baby jogger.but this is my favorite,itâ€™s lighweight, very easy to maneuver and my toddler loves it he easily falls asleep with this one , thanks to the ability to recline it my baby is very comfortable. We love how it can be done with one hand. Itâ€™s a compact stroller but itâ€™s very sturdy. Been debating in between the YoYo & the Minu. Muni won. The price is cheaper then YoYo. Itâ€™s more sturdier then then YoYo because besides planning to use when traveling, we use in New York city all the time.. the max weight is more. Also the length is longer. We want our daughter to feel comfortable in it. Also one very important thing is the canopy is bigger. Albee costumer service was wonderful. Same with their website. We had a good time shopping! Solid and very lightweight stroller! We loved it. Overall this was what we are looking for. Since we travel a lot with car, mobility was our top priority. Although this one is light weighted, it has solid structure and stability. It rides smoothly and very easy to fold. It's best for our family. ConsUnderneath basket is a little bit small, so we end up buying some accessories to hang things on the bar. When your child is young, you might want to face him or her. But this cannot do that. We wanted to wash only the fabric. However fabrics are done with sewing. So there is no options to uncover the fabrics. Seating material is really thin it folds as my baby sit on it on the bottom. Not a great support for lower back. We bought MINU as a second stroller for our 8 month old baby. 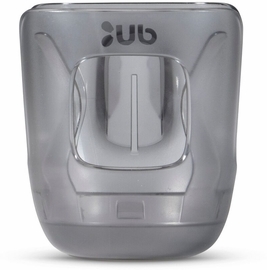 It's very light, compact yet durable. It doesn't feel flimsy like some other compact strollers. Only downside is that the recline isn't smooth. It comes with straps in the back of the seat, and it can be tricky to use when baby's sleeping. I think it would be perfect if they can change that. We were on the hunt for the right travel stroller for a long time. We first bought a GB QBit LTE. The push was terrible and it was very cheaply made. 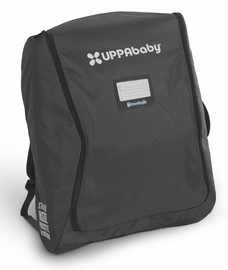 We then tried a Baby Jogger Zip, which was of better quality but the push wasn't great and it was annoying to fold. After those two, we went to several stores to test out the other travel strollers that are readily available. I had my heart set on a Yoyo, but I didn't like how it folded and the push was not good enough to warrant the price tag. We stumbled upon the Minu at a local department store and fell in love with it on the spot. 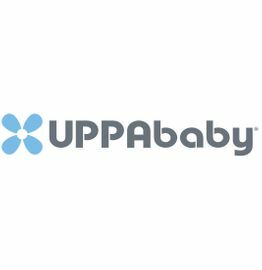 I ordered from Albee Baby because of the free shipping, rewards (20x points! ), and no taxes! ProsPush is great. Finishes are high quality. Easy to fold. Large basket for a travel stroller. ConsHandlebar is not adjustable. Lack of available accessories (it would be nice to be able to get a cupholder, belly bar, snack tray, etc. 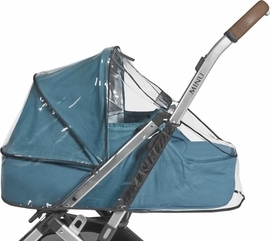 i'm grandma to-be and wanted to buy lightweight, travel stroller for my daughter to serve as stroller for future travels. They live in city and bought cruz. I live in suburbs, driving to malls and walking on neighborhood paths. Second stroller made sense to me. Did a lot of research - watching you-tubes, reading reviews and trying out in store. Couldn't wait for new minu given weight, foldability and carrying strap. Wasn't sure about color, but thought teal with brown handbar was nice - bright, different and popular. It was backordered, so when I got notice of availability, ordered immediately. I was not disappointed. It's beautiful - light, folds compactly and love shoulder strap. 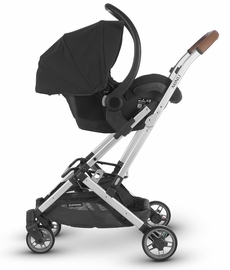 It reminds me of original Aprica stroller that I used for my kids - one hand fold and compact. Moves easily and wheels are sturdy - perfect for (older) me to get into car and setup. They are great travelers and hoping it will be useful for those wonderful trips to faraway places. 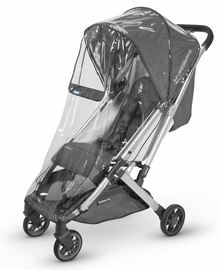 Great rolling stroller that feels solid like a full size stroller and not an umbrella stroller. The one hand fold is also super handy as most parents know they usually always have their hands full. ProsSolid feel. Easy to fold. ConsWish that it closed up more tightly and was more compact when folded. We absolutely love our Minu in Ryan! I drive an equinox and it leaves me with so much additional trunk space. The height of the stroller is perfect for me (5'5) and husband (6'). The saddle handlebar really makes it feel like a lux stroller. Really cannot wait for the travel bag to come out!